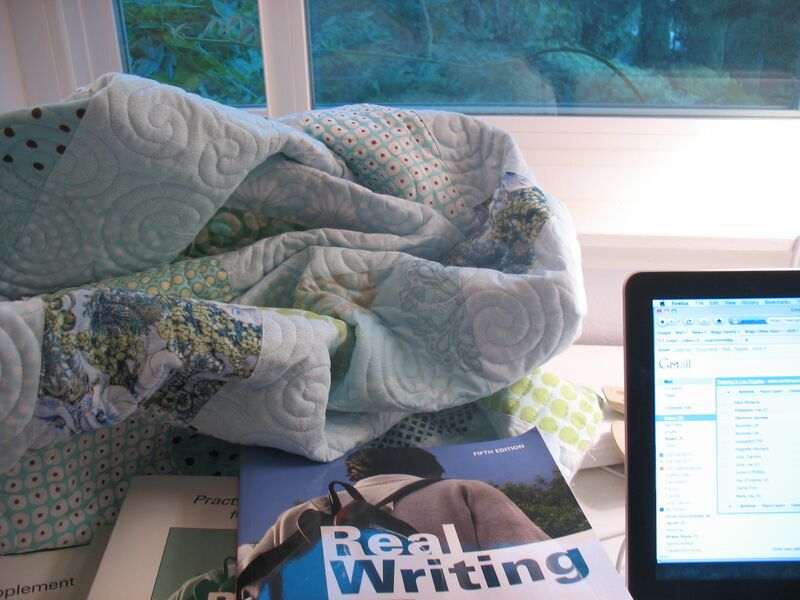 Why I Have a Quilt Next to My Schoolbooks | OccasionalPiece--Quilt! Posted on August 23, 2010 by Elizabeth E.
That’s the nice thing about quilts. They get done, never go away, never have to be re-done. I’m looking forward to having this beautiful blue quilt at the end of my bed, in order to match my new bathroom. Now wait, I thought it was to catch your eyeballs when they fall out, or at least a place to lay your head when it starts to nod after reading too many papers/homework assignments.